This fitting screws directly into the feed of the Full Blown dual fuel pump hanger. No need for an adapter to hose end connection. Why not get rid of that extra fitting and just use one. Also this tight 90 degree fitting allows for much more clearance when putting the fuel cover back. 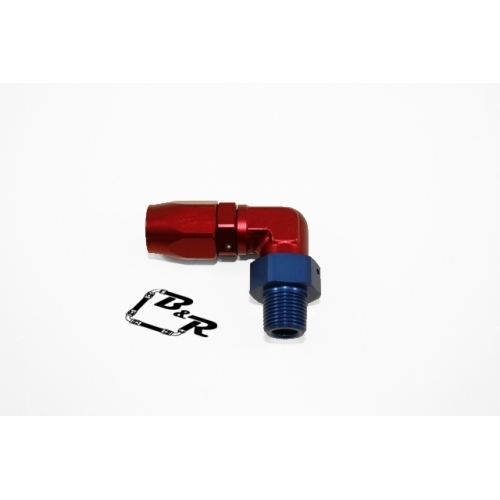 This fitting is also a swivel seal hose end.